Meriton Serviced Apartments – We chose to stay at the serviced apartments over a hotel because of the more affordable price. Plus, we could fit our whole group comfortably in one apartment. 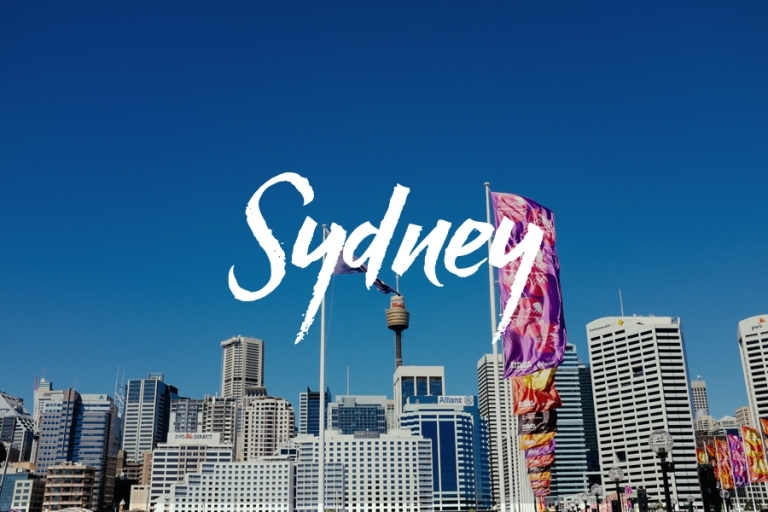 We stayed at the Pitt Street location which was central to most things in the city and was only a 20 minute walk to the Sydney Harbour and right next to the Town Hall railway station. We stayed in a three bedroom apartment and had a wonderful a view from the 43rd floor. The apartment was spacious, clean, had a full kitchen with utensils for cooking, laundry and 24-hour staff that was very helpful. But, the best thing of all was the balcony and the view. The apartment was serviced everyday with clean towels, etc. Royal Botanical Gardens – On our first day in Sydney we decided to wander through the gardens as we made our way to the Sydney Harbor. It was nice to find such beautiful tranquility in the middle of the city as we wandered down some of the many paths past beautifully maintained rose, herb and flower gardens. 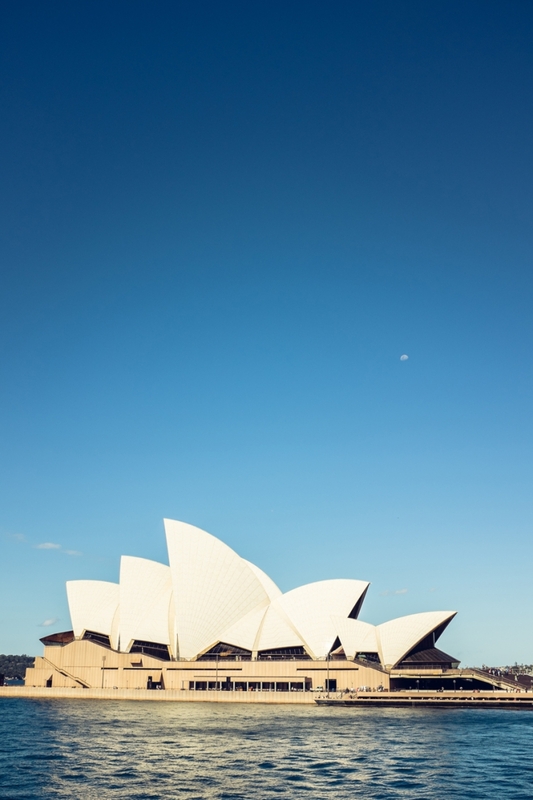 Sydney Opera House – Completed in 1973, this is Australia’s most recognizable building and probably the architectural icon of the 20th Century. We visited during it’s 40th anniversary year. We had wanted to do a tour of the opera house, but we didn’t have the chance. Instead we decided to see a show our last evening in Sydney. We saw South Pacific in the South Pacific. Before the show we had drinks and sushi at the Opera Bar. What wonderful place to spend the evening with your friends and watch the sunset and take in views of the harbor while listening to live music. 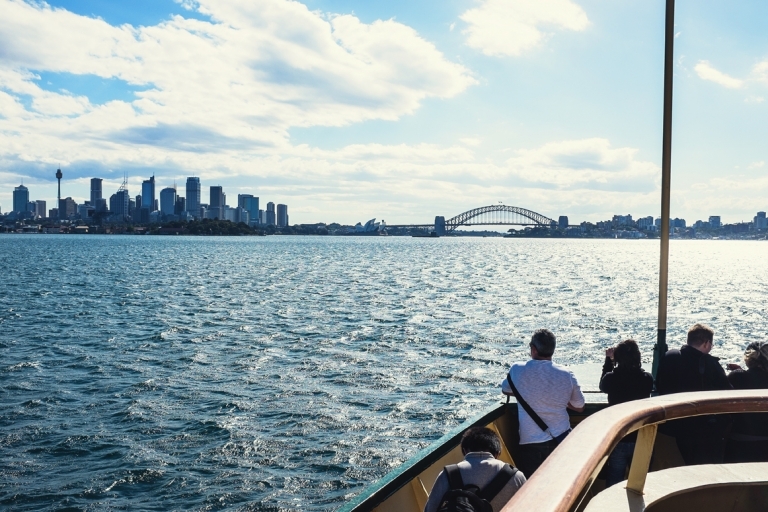 Ferry to Manly – This is probably the easiest and cheapest way to see the Sydney Harbour. You can catch the ferry at the Circular Quay (Quay is pronounced “key”) The ride to Manly is about 30 minutes and you’ll pass the opera house and the harbour bridge and get some beautiful views of the city. We spent the afternoon exploring Manly beach, shopping, and ate lunch along side the beach at the Manly Grill. Jimmy Lik’s – Located in the neighborhood of Pott’s Point this seductively lit cool joint serves up exotic South Asian inspired dishes with a modern twist. A lot of the food is street food inspired and we went with a the “Jimmy’s Selection”, which is an 8-course selection of small plates and entrees. Some of the selections were a bit adventurous, but delicious. I recommend trying this place when you are in Sydney. 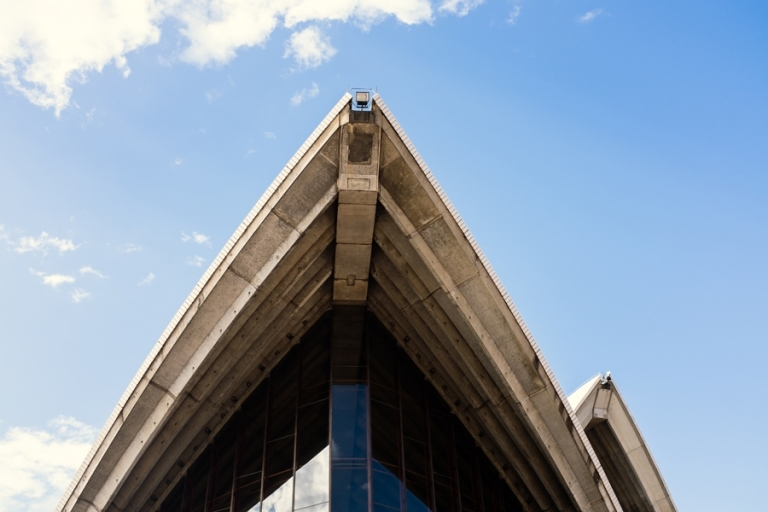 Sydney Aquarium – A warning that this is a very crowded place and that you can buy your tickets online in advance for a cheaper price and skip the long lines to get in. It was loud and there were a lot of families and kids running everywhere. You have to be patient to view some of the aquariums. The best thing about visiting for me was being able to see and find out more about some of the fish, corals and sea life I saw on the Great Barrier Reef. The Dugongs (a very large mammal, similar to a Manatee) are also very cute and fun to watch. They look like a huge plant eating vacuum cleaner. They have two of only six Dugong’s on display in the world. Sydney Fish Market – We visited the market one day for lunch and had some delicious fresh sushi. Apparently if you go early at 5:30 am you can witness their daily fish auction. Bridge Climb – I’m not gonna lie, this is an expensive endeavor that will set you back at least $200. It was expensive, but unforgettable. We chose the “Express Climb” which is a bit shorter than the standard climb and takes about three hours. The climb was led by a friendly, knowledgeable guide and each climber wears a radio and headset to hear the bridge’s history. 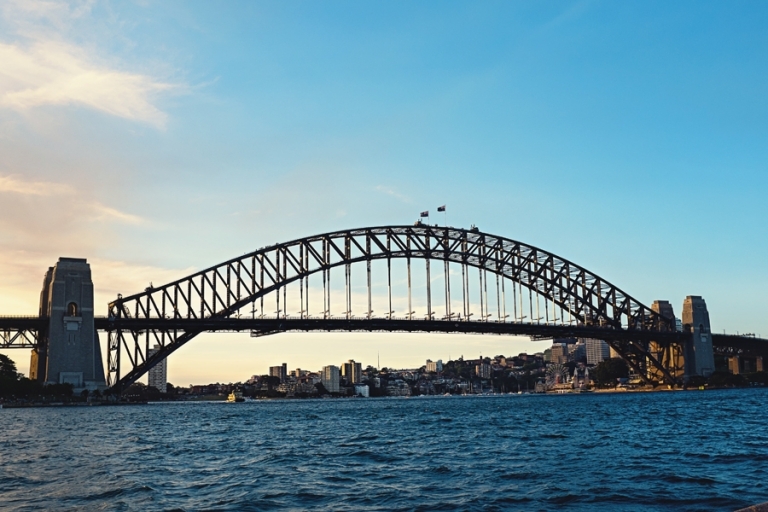 You will get exhilarating views of the city and the Opera House, Luna park and the harbour. It was extremely well organized and safe. You have to wear a special climbing suite and safety harness and are clipped in the whole time. You also cannot carry any personal items (including phones and cameras). They take photos of you at the top, which you can purchase. Definitely an experience for the memory books! Australian Heritage Hotel – After our bridge climb we decided to celebrate with drinks at this historic nearby watering hole. The Hotel is located in “The Rocks” district and has been open for business since 1824, making it the oldest continuously licensed pub in the City of Sydney. The Australian looks much the same as it did when soldiers drank here after the First World War in 1918, during the Great Depression of the 1930’s. They had a nice selection of beers and some of the most interesting pizza combos I have ever seen; Pepper Kangaroo, Half Emu/Half Kangaroo, Saltwater Crocodile, Peking Duck just to name a few. Bondi Beach Cliff Walk – Sydney is a city by the ocean and has some of the most beautiful beaches. Bondi beach is a must see as Australia’s most famous beach. It’s a great destination for people watching, surfing and shopping. You’ll find a mix of tourists, families and surfers. We did the iconic stroll along the craggy, cliffs from Bondi Beach to Bronte Beach. The views were stunning and I found myself wanting to make this my new home. We had lunch in Bronte beach where there is a string of nice cafes and eateries to choose from. Paddy’s Markets – The large brick building that houses the market is situated just beside Chinatown. This is the best place to go souvenir shopping and I guarantee you won’t find Australian souvenirs cheaper anywhere else. The vendors will negotiate lower prices, you just have to ask. It’s a huge place where you can find all kinds of hand painted Aboriginal arts and crafts like boomerangs and digeridoos. There is a lot of repetition between the stalls and maybe a few too many cell phone case vendors. This concludes my Australian adventures. Thanks for reading! I hope you enjoyed and if you are planning a trip that this information is helpful! Pepper’s Cradle Mountain Lodge – We stayed in one of the Pencil Pine Cabins. When we arrived our beds were turned down and the fireplace was blazing, creating a cozy retreat from the damp, rainy, windy weather. The main lodge itself has a lot to offer. With a friendly inviting staff, big and small sitting rooms, each with large leather chairs and sofas you can sink down into while warming yourself by the roaring stone fire places. This is especially perfect after a damp Cradle Mountain hike. We enjoyed the food at the casual-styled tavern our first evening with a few glasses of Tasmanian wine, a hearty meal beside a roaring fire and the only TV in the whole place! Our second evening we made a reservation at the lodge’s Highland Restaurant, where we had a very fine and delicious meal paired with Tasmanian wines. The Lodge property has many other amenities, which include over 20 hiking trails, a gift shop, tour guides, a spa and even laundry facilities. Crater Lake Circuit – (5 km) The start of this hike takes you on a wooden board walk over button grasses and a beautiful view of the pristine moorlands and surrounding mountains. Then all of a sudden it changes, and you find your climbing up along the side of a creek with gushing waterfalls and bright neon green moss-covered rocks and trees. After you climb out of the rainforest, you reach a picturesque, rickety old, moss-covered boat shed set alongside the dark calm waters of Crater Lake, which was carved out by glacial ice. From here you can go on to Marion’s Lookout. Unfortunately, the windy, icy weather prevented us from climbing up to the look out. We headed back down to the parking lot and took in the amazing views of mirrored lakes (Dove Lake, Lake Lila, Wombat Pool) and the surrounding mountains. Along the way we encountered a few wombats in the wild. They ignored us and kept on doing their own wombat things. The Crater Lake Circuit is part of the longer and famous, Overland Track (65 km), which I’d love to try some day. Dove Lake Circuit (5.7 km) – This walking track is probably the most popular hike in the park. It is boarded for most of the way and circumnavigates the entire lake. The hike has three main highlights, the first is Glacier Rock, a huge rock you can climb up on to and get really nice views across the lake. Then path winds along the banks of the lake through myrtle forests, beneath the spires of Cradle Mountain and to the second highlight, the mossy green Ballroom forest, a temperate rainforest that runs along one section of the lake. The third and most iconic highlight is the Dove Lake boat shed which you will see in nearly every sunrise/sunset photo of the lake. The boat shed was built in the 1940s by one of the first park rangers and remains pretty much unchanged. On nice days you can go canoeing on the lake, but it was just too windy while we were there. Waldheim Chalet – This was the original guest house and the start of Cradle Mountain Park built by Gustav and Kate Weindorfer in 1912. They fell in love with what is now Cradle Mountain and built a rustic home here called Waldheim, meaning “forest home”. The house was used as accommodations until the mid-1970s. Today you can visit it as a display of what once was. The house is nestled beside an amazing temperate rainforest where King Billy pines, moss-filled logs and trickling waterfalls abound. The setting was beyond believable and I felt like I had just wandered onto a movie set. I fully expected a unicorn or some sort of woodland elf to pop out from behind a tree at any second. Devil’s@Cradle – On our second evening we visited the Tasmanian Devil Sanctuary right down the road from the lodge and National Park. We were able to see the Devils up close, pet one, learn more about them and see a feeding. They are actually quite adorable creatures frolicking around their dens and spinning in little circles, until you see them eat, then you understand how they got their name. It was all very fascinating and also a little sad too as many Tasmanian Devils in the wild are threatened by a horrible facial tumor disease that is spreading and killing out the population. That makes these sanctuaries very important, so that the Devil’s have a home where they aren’t exposed to this deadly disease. Stay tuned for the last and final part 4 of 4 of my Australian adventures later this week! Up next, Sydney! Happy Friday and welcome to part two of four of my Australian adventures! Reef View Hotel – There are several places you can stay on Hamilton Island from the resorts to the beach bungalows to the private villas. We stayed at at the Reef View Hotel. We had a lovely room with an amazing view of the Coral Sea and nearby Whitsunday Island. The hotel has a shuttle that can take you around to all the various locations, but you can walk to most locations in a short time. The island is only 1.9 square miles. The fun part about the resort is that they had catamarans, paddle boards, windsurfers, kayaks and snorkeling equipment that you could check out. I tried out the stand-up paddle boarding and had a lot of fun with it. There are also tennis courts and some nice hikes on the island. Hamilton Island Yacht Club – The building itself is impressive for it’s design. It’s shaped like a sting ray. Take a cruise or boat ride out of the marina for and you’ll get a magnificent view of it’s unique design. We dined at the fine dining restaurant, Bommie, our first evening on the island and it was pricey but delicious. The Great Barrier Reef – Visiting the Great Barrier Reef was my main reason for visiting the Whitsundays. We booked a full day trip with Cruise Whitsundays. It was about a 2 hour ride out to the reef from Hamilton Island and once we got out to the reef there were all kinds of activities to partake in. We rode in a semi-submersible submarine guided by a marine biologist, we snorkeled freely around the reef and the best part was the scuba dive. There were other guided snorkeling, helicopter tours and massages you could book as well. Whitehaven Beach – This is a must see if you are in the Whitsundays. It’s the most photographed beach in all of Australia and rightly so, it’s one of the most beautiful beaches I’ve ever visited. You can access the beach by boat and we took a day cruise there with Cruise Whitsundays. Sunset cocktails on One Tree Hill – Every evening right before sunset they open up a bar at the top of One Tree Hill (the highest point on the Hamilton Island). You can sip cocktails while watching the sun sink below the horizon. Stay tuned for part three where I share my Tasmanian adventures complete with Tasmanian Devils and Cradle Mountain next week! Have a wonderful weekend!